MANAGUA, Apr 8 2016 (IPS) - Nearly three years after Nicaragua granted a 50-year concession to the Chinese consortium HKND to build and operate an interoceanic canal, the megaproject has stalled, partly due to a severe drought that threatens the rivers and lake that will form part of the canal. In June 2013, the Nicaraguan legislature passed a law to grant a 50-year concession to the Hong Kong Nicaragua Canal Development (HKND) Investment Group, led by Chinese billionaire Wang Jing, whose finances are surrounded by a lack of transparency, which compounds the uncertainty. 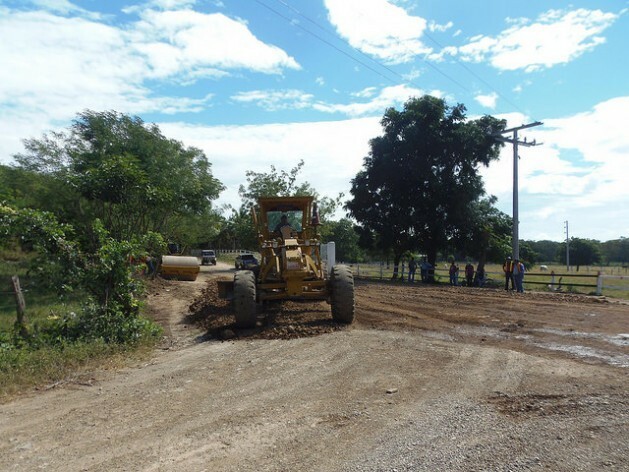 In a formal ceremony held by Nicaraguan authorities and representatives of HKND in December 2014, road repairs were launched in Brito, in the southwestern department of Rivas, where the canal empties into the Pacific Ocean. The roads were needed to begin construction of a port complex for the canal in Brito in December 2015. But no more work has been done, either on the canal or its subprojects: an international airport, two deepwater ports, an industrial free trade zone, tourist resorts, warehouse areas and factories to produce construction materials. However, Telémaco Talavera, spokesman for Nicaragua’s canal commission, told IPS that there are no delays in the project, which is moving ahead in line with HKND’s plans. The official, who is a presidential adviser with the rank of minister, said an army of international experts is working hard to draw up technical and scientific studies to guarantee the quality of the project. Talavera said there were archaeological, geological, seismic, topographical and water salinity studies, as well as maps, satellite images and mitigation plans, and studies to complement the environmental and social impact assessment, which was completed in 2015. The last visible effort was made in March: More than 15,000 archaeological artifacts from the pre-Columbian era found along the route selected for the canal in the country’s Pacific coast area were turned over to the state in a public ceremony in Managua. At an international level, Bill Wild, HKND’s chief project adviser, told the local newspaper El Nuevo Diario that the key works in the Brito port complex would begin in August or September. According to Wild, since 2014 the company has carried out complex engineering and design studies, hiring specialised companies from around the world for specific tasks, prior to starting the infrastructure works. The 278-km canal, up to 520 metres wide and 30 metres deep, will link the Pacific Ocean with the Caribbean Sea. Of that length, 105 km will cross Lake Nicaragua or Cocibolca. In 2013 it was announced that the canal would be operational by late 2019, at a cost of over 50 billion dollars – more than four times the country’s GDP. According to the government, the project will end the poverty that affects over 40 percent of the population of 6.2 million people, by boosting GDP growth from an average of four percent annually over the last five years to more than 10 percent. On its website, HKND Group announces contracts with international firms, such as CSA Global, an Australian geological, mining and management consulting company, and the Britain-based BMT Asia Pacific, an international design, engineering and risk management consultancy company, to develop operating plans for the canal and its ports. However, two factors have dampened enthusiasm for the project: the news of the financial losses suffered by HKND Group CEO Wang Jing and a severe two-year drought that has made Lake Nicaragua virtually unnavigable. In 2015, the press reported that Wang Jing’s net worth had shrunk from 10.2 to 1.1 billion dollars, when he lost nearly 85 percent of his fortune due to China’s stock market crisis. Neither Wang Jing, nor HKND Group, nor the Nicaragua canal commission has issued any declaration with regard to these reports. This, added to the lack of information about the financiers who are to provide more than 50 billion dollars for the project, has led opponents of the canal, such as Octavio Ortega Arana, president of the Municipalities of Rivas Foundation, to argue that the projected timeframes will not be met. “I don’t see any progress towards the supposed canal and I think what the government really wants is to get its hands on the valuable land of peasant farmers, for private business interests of the Sandinista Party and relatives of President Daniel Ortega,” the activist told IPS. Ortega governed from 1985 to 1990 as the leader of the leftwing Sandinista National Liberation Front (FSLN), returned to power in 2007, and will run again for reelection in November, thanks to a constitutional reform that scrapped limits to the number of terms that Nicaraguan presidents can serve. The activist Ortega Arana said another situation that casts a shadow over the canal project, added to the resistance mounted by thousands of families living along the projected canal route, is the severe drought plaguing the country since 2014, which has undermined the navigability of Lake Nicaragua. The devastating effects of climate change and deforestation near the country’s main water sources, including Lake Nicaragua and the Brito, Las Lajas and San Juan Rivers, which are key to construction of the canal, have been widely discussed in news reports, environmental newsletters, the social networks and even by local authorities. 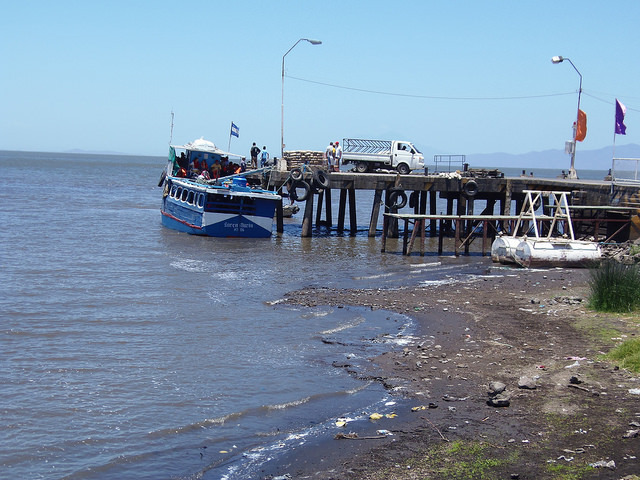 The government’s national port authority, EPN, acknowledged this month that due to the drought and the lower water levels, cargo vessels have had a hard time docking in Lake Nicaragua. The authorities have been dredging areas near the lake ports to make it possible for smaller boats to operate. “How are these enormous ships supposed to cross the lake when not even little wooden fishing boats can get around now?” asked Ortega Arana. However, government officials on the Nicaragua canal commission, such as ecologist Kamilo Lara, say the environmental impact of the drought and decades of deforestation of the area surrounding the lake and the river basins could be curbed by the new infrastructure and environmental mitigation works. “The studies for the canal include these scenarios and worse ones regarding climate change, which contemplate projects to reforest millions of hectares of land in the water basins and create artificial lakes that would provide the canal route with water,” Lara told IPS. Talavera argued that the lake would begin to be saved once construction of the canal began. “Today more than ever we need the resources that will come from the Great Interoceanic Canal, to invest them in restoring the environment, and to be able to address the risks posed by climate change,” he said. A fool’s errand managed by greedy, corrupt fools beginning wih Ortega and his cohorts. This idiotic project is doomed to failure.